Coaching. It’s a word that means so much to me because it has changed my life both personally and professionally, but many people feel like the c-word means something negative. Coaching is about helping you reach goals and planning your next steps. It allows someone from outside your daily life and routine to give you insight into your current reality. Many people think they are somehow being punished when it’s recommended they seek out coaching. Many others see working with a coach as a sign of weakness. Using a coach doesn’t mean you’re failing. In fact, when you say yes to coaching it means you truly care about what you are doing, and you want your work to produce the best results possible. The bottom line is this; your current actions and attitude are working together right now to perfectly produce the results you’re getting. Reversing this logic shows us that in order to produce better results, you need to have better actions and attitude. The logic above seems simple enough, but the the reality is, most of the time, it is really hard to see how to better our actions and attitudes. This is where your coach can help. Coaches are trained to see your greater potential and challenge you to achieve that potential incrementally over time. I recently met Chris, at a retreat for his students. While at the retreat, Chris signed up for a 30-minute coaching session with me. The coaching sessions were offered for free to youth pastors during the scheduled free time for the day. Not many people took advantage of the coaching for the same reasons I listed above, but Chris was different. He was early and waiting on me because he couldn’t wait to get started. Chris is part of a trio of dads who run their church’s student ministry. All the dads have full-time jobs and volunteer on their time off to run the student ministry. Chris wanted to meet with me because he wanted to discover the best way to move his church’s ministry forward. So, here is what’s so incredible about Chris. He not only leads this ministry voluntarily, which brought 17…SEVENTEEN…students to this retreat, but he also cared enough about the future of the ministry to seek out coaching. 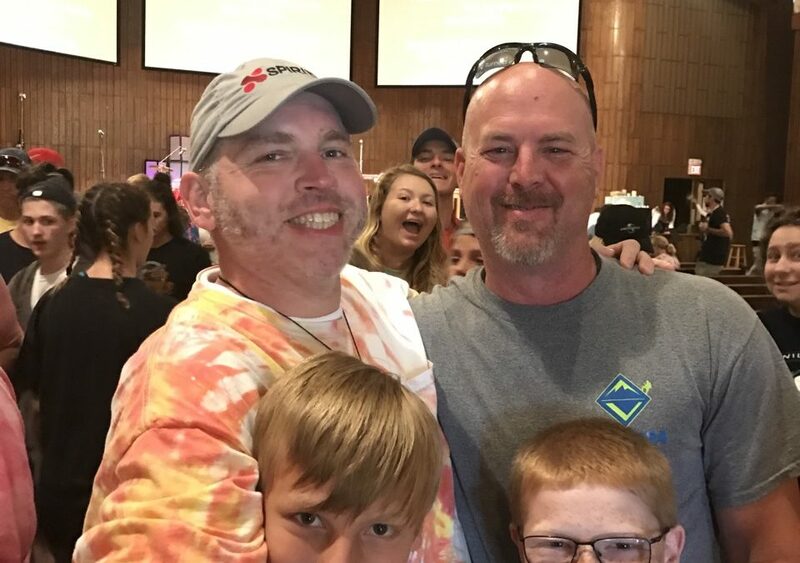 There is SO much that I love about Chris: his heart for ministry, his passion for guiding students to Jesus, and his love for the other dads he leads with. Since meeting with him at that retreat, I pray for him everyday. I am so moved seeing Chris’ love for Jesus push him to be his absolute best for his ministry and his church. May we all have the drive to be our best for our students! If you are interested in working with a coach or know someone who is, feel free to contact me. Please fill out this coaching request form, and I’ll contact you to setup a time to talk. Orange filmed a mini-documentary of the LIFT mid-week experience at Grayson United Methodist Church. Over 200 middle schoolers walk from school to Grayson UMC for their mid-week experience. It’s been great to partner with XP3 to showcase the middle school ministry at Grayson UMC. 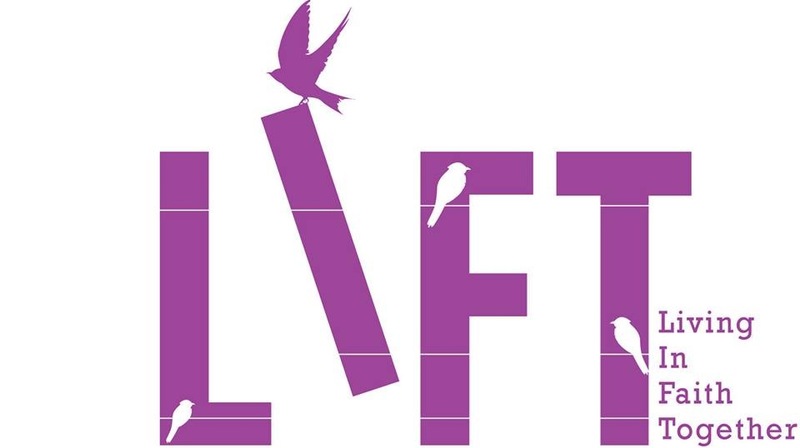 I am blessed to have been a part of such a great ministry, and I’m excited to see LIFT continue to build disciples of Christ. I am currently living in the middle of chaos. Homework to complete for my Cohort. Writing a preteen camp. Writing bible studies for summer camp. Confirming summer activities. Making sure all the registration checks are sent for mission trips. You know all the stuff that is required in student ministry that no one really ever wants to do. I feel like I am just plodding along with my head down trying to get it all done. And when I get in these modes I struggle with spending time with God. I mean, you have to get those check requests turned in! On Facebook they have those memories that pop up to let you see past posts in your timeline that happened on this day, and recently there was one post that came up that immediately brought me to tears. In the movie Toy Story, there is a boy named Andy who has a bunch of toys that come to life when humans aren’t around. Andy writes his name on bottom of all this toys, so everyone know they are his. Most importantly though, the toys all know they are his, and they couldn’t be more proud to belong to him. My daughter has always been a fan of Toy Story, and as a family we have watched them all countless times. 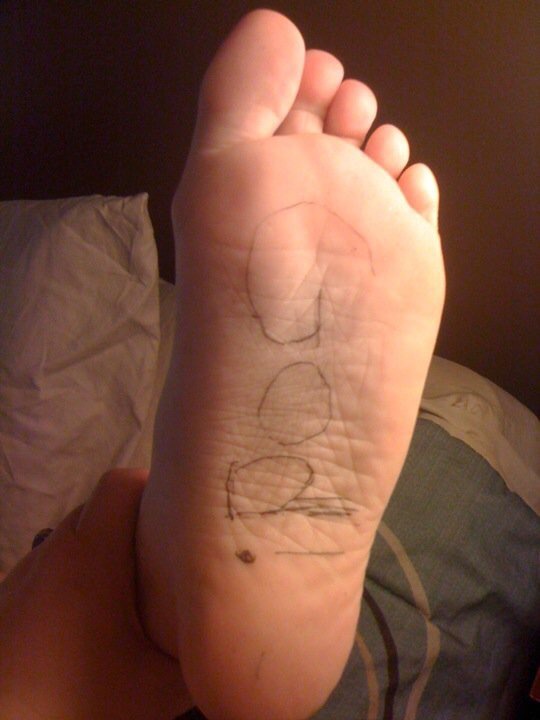 I remember waking her up one morning for school and discovering she had written the name “God” on the bottom of her foot, just as Woody, one of the main characters in Toy Story, had Andy’s name written on the bottom of his boot. At first I was confused, but then she explained, “I’m like Woody, mom, but I belong to God.” Tears started flowing. I mean, how could they not be? When that memory popped up on my screen, I was immediately taken back to the purity of that moment and how simple it was for her to acknowledge who she belongs to. God. This week as I hurry to get everything done, I remember that everything that I am doing is for His Kingdom. It’s all for that one student who doesn’t yet know she belongs to God, but will soon find out and hopefully say yes to His call this summer. As for me, I remind myself to keep my heart fixed on Him. Maybe I should get my sharpie out. Lent is truly one my most favorite times of the year. Really spending time recognizing the season of Lent has helped me to bring back the wonder of Easter that I feel like I had lost of the years. Growing up the only thing Lent meant to me was fish sticks on Fridays. The 40 days leading up to Easter have be some of the most life giving, perspective changing days of my entire year. I wanted our students at LIFT to have that same moving experience with God. I didn’t want them to wait until they were 30 years old to know Lent was more than fish fridays. 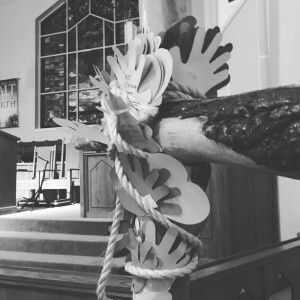 This year I challenged students to hand over something to God that may be keeping them from really connecting with Him. I know that there is this whole practice of “giving up” something for Lent, but to be honest, I am sick of the menial no soda thing. I wanted them to dig a little deeper. Dig past the chocolate and coke. Then once they handed something over to God, I challenged them to have a specific prayer over the next 40 days. 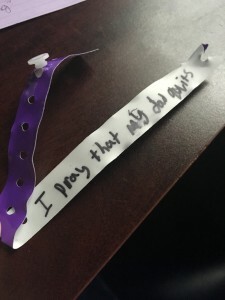 Each student took a purple band and wrote on the inside a special prayer, a name, a situation, or whatever they felt led to write and then wear that band until Easter. We have had to replace lost bands each week for various reasons, but that just tells me that they mean something to those students. A 7th-grade boy texted me just this week to say that one of the situations he wrote down has already been changing. “Do you think that’s because I have been praying about it everyday Ms. Charlie? Because I have never done that before.”, he told me. I found this band in our sanctuary while cleaning up after worship last week. I don’t know what this student wants their dad to quit, but I have kept this on my desk and joined them in prayer. I am excited see to how God continues to move throughout this Lenten season. Witnessing His power among our students is life changing for me.